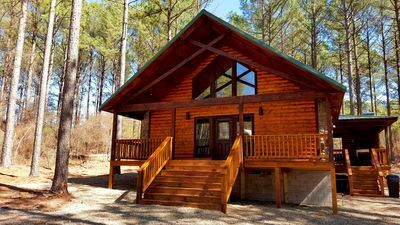 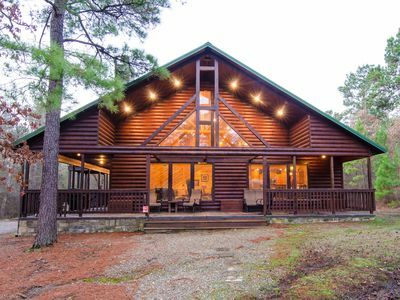 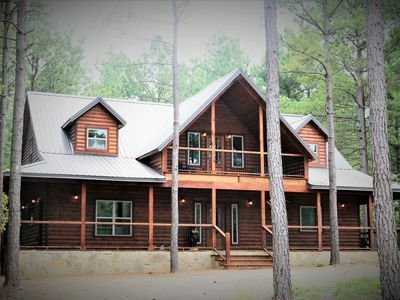 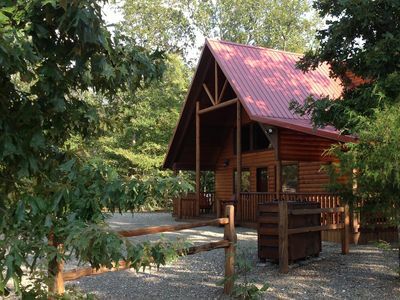 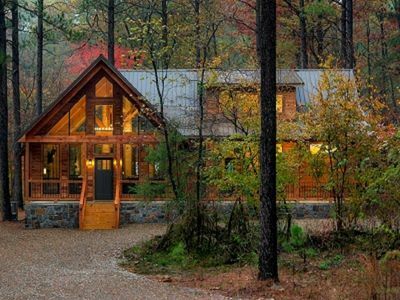 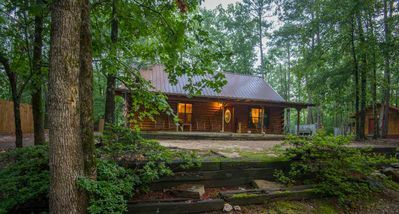 Arborlawn Cabin is located within the southern edge of the Quachita National Forest just off Hwy 259A (North) 2 miles from Broken Bow Lake and Beavers Bend Resort Park. 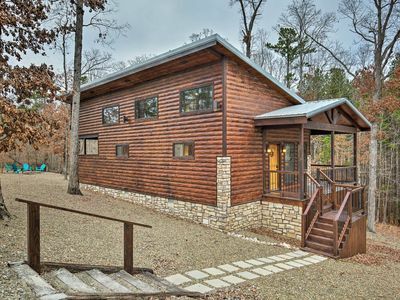 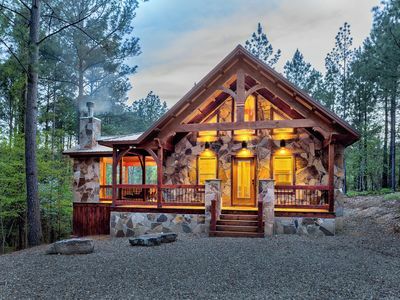 This luxury cabin offers 3 bedrooms and 3 baths. 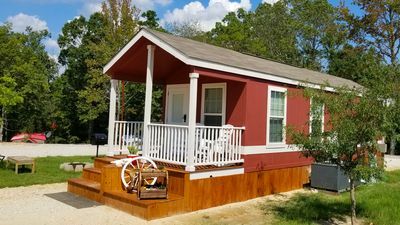 All bedrooms include king beds with flat screen TV's. 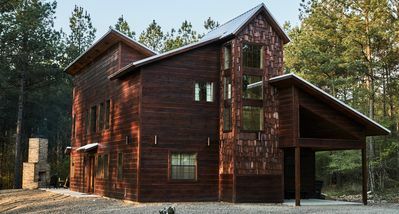 One bedroom and bath are located upstairs adjacent to the loft. 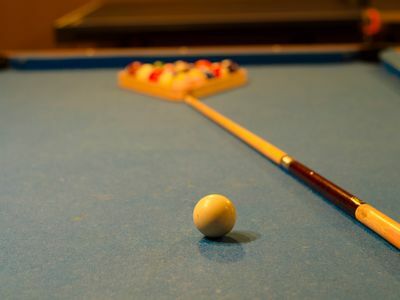 The loft area features a large game room with a 7 ft. pool table and flat screen TV. 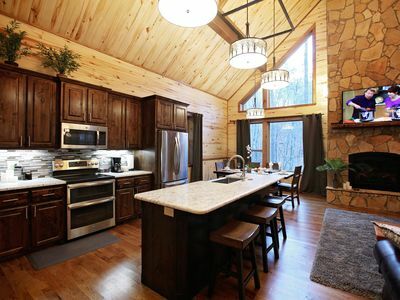 Arborlawn's kitchen is fully equipped with all the conveniences of home including dishwasher, microwave, electric range and refrigerator with ice maker. 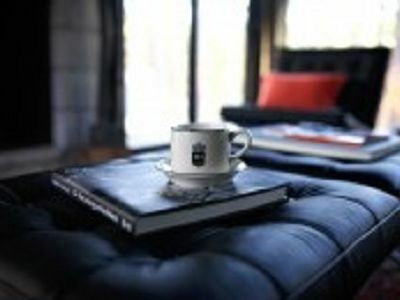 Pots and pans, cooking utensils, dishes, glassware and flatware are also provided along with coffee maker, toaster, blender, mixer, serving bowls and waffle iron. 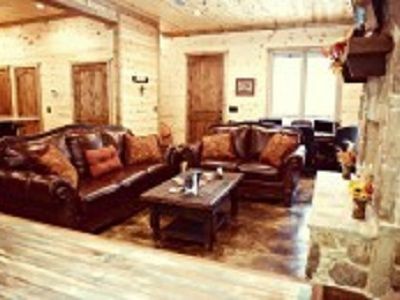 The living area includes a leather sectional couch with matching recliner, gas log fireplace, large flat screen TV with dvd player and Direct TV. 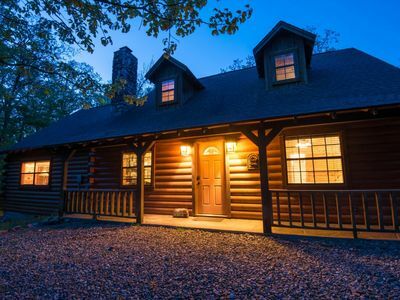 WiFi is available throughout the entire cabin. 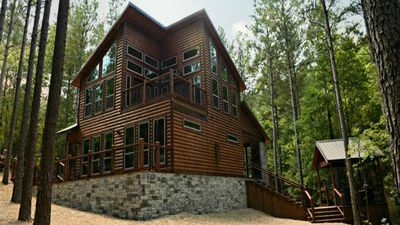 There are several children dvd's for family entertainment as well as several games, cards, books, and dominoes. 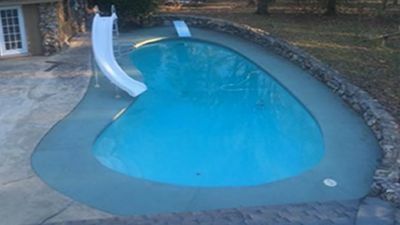 The hot tub is located on the covered deck. 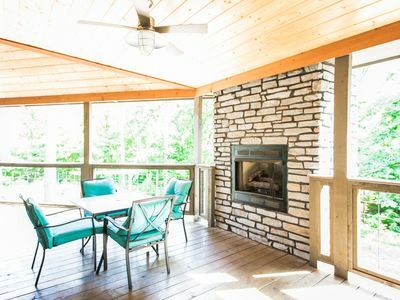 The grilling station is directly off the deck and equipped with both a propane and charcoal grill. 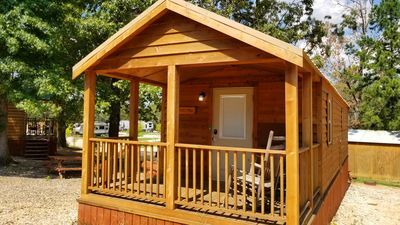 The grounds contain a play fort with swing set and slide, a fire pit excellent for smores, and a horseshoe pit for friendly competition. 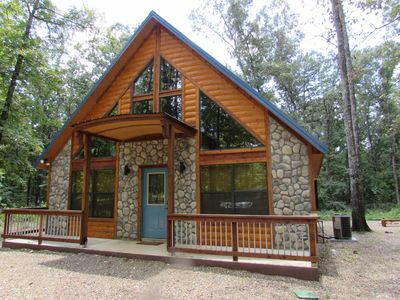 Ole Blue - Modern, Rustic Cabin, WiFi, Hot Tub & much more! 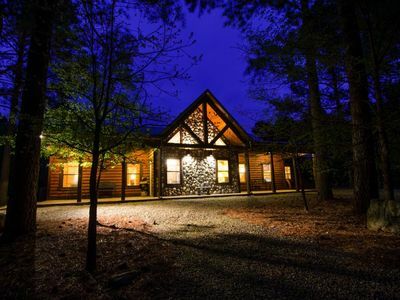 Grey Goose Lodge is a luxurious 4 bedroom cabin with loft that sleeps 15 guests.